It is the season of qualifying for Judicial candidates. From now through May, persons qualified to run, may throw their hat in the ring to become your next family law judge. The requirements are fairly basic for Chancellor; be at least 26 years of age, a practicing attorney for five years, and a citizen of the state for five years. Miss. Const. of 1890, Art. 6, §§153 and 154; Miss. Code Ann. §9-5-1, and pay a fee of $100 to the Secretary of State’s Office. Below is the current listing and the geographical area that the Judges are in. There will be many more persons qualifying in the coming weeks. Bailey was recently appointed after the resignation of T.K. Moffett. Bailey was a solid choice for the appointment and will likely win even if opposed. Judge John Hatcher just announced his retirement which will mean another spot is available in this District. Current Chancellor. Judge Thomas will have this position for as long as he wants it. Hinds County will be very interesting to watch as the three other current Chancellors, Owens, Singletary, and Wise, have all considered retirement. This is a race to watch. Judge Williams, I believe, is retiring, and this a large area with lots of attorneys and will be interesting to see who qualifies. I do not expect challengers to either sitting Judge, but it could happen. This is another race to watch. Long serving Judge Mason is retiring and there are multiple quality candidates for this position. The judicial race for Starkville, Columbus, Westpoint, etc. will be fun to watch. All three current chancellors, Colom, Burns and Davidson, are retiring. This means there will be three new family law judges for this district. I expect a lot of candidates and several of the more talked about names have not yet qualified. Judge Ed Patten is retiring. Place 2 is a race to watch. Judicial stalwart John Grant is retiring and I expect 3-5 candidates for this position. It will also be a close race as those qualified, and expected to be, are all great candidates. 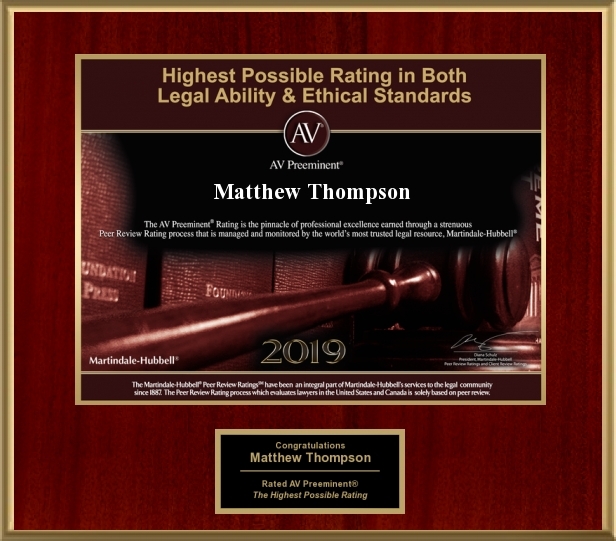 Matthew Thompson is a Family Law Attorney in Mississippi and has practiced in most Chancery Court districts in the State. Previous PostNew Year, New Leaf.Next PostFault Grounds for Divorce in Mississippi: Updated!